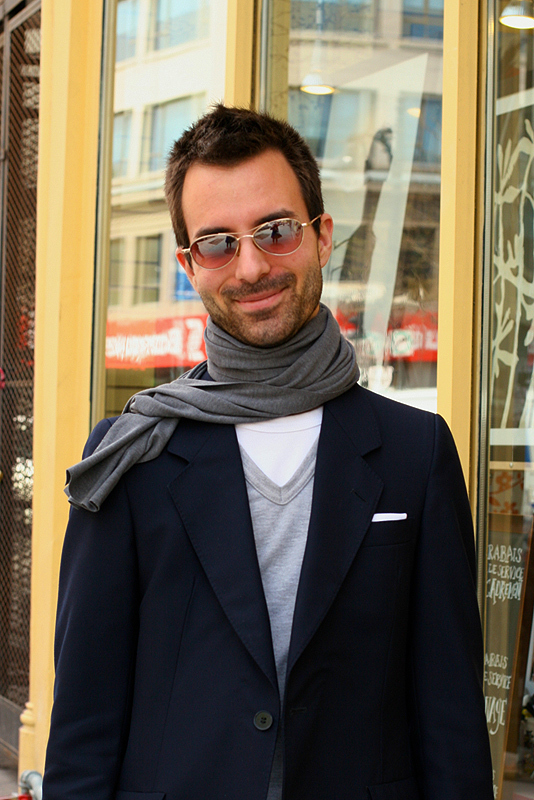 There is something very nautical about his navy blue blazer paired with white denim. And I dig his gray scarf and gray vest. Also? Pocket square.